Crave-Worthy Cream Cheese Salami Pickle Dip is a quick and easy update of the salami and pickle pinwheel appetizers of the past, but this updated version is faster, easier, and has a bigger kick of flavor. One of my favorite appetizers I remember from years ago is the one where you spread cream cheese over slices of salami with dill pickle spears rolled inside, and then you slice them to form little pinwheels. The concept was super simple, and the flavor of those tasty morsels hit all the proper bells and whistles on the taste buds. I loved them then, and I still do now. That said, this cream cheese salami dill pickle dip tastes better and is a whole lot easier to make. Honest! 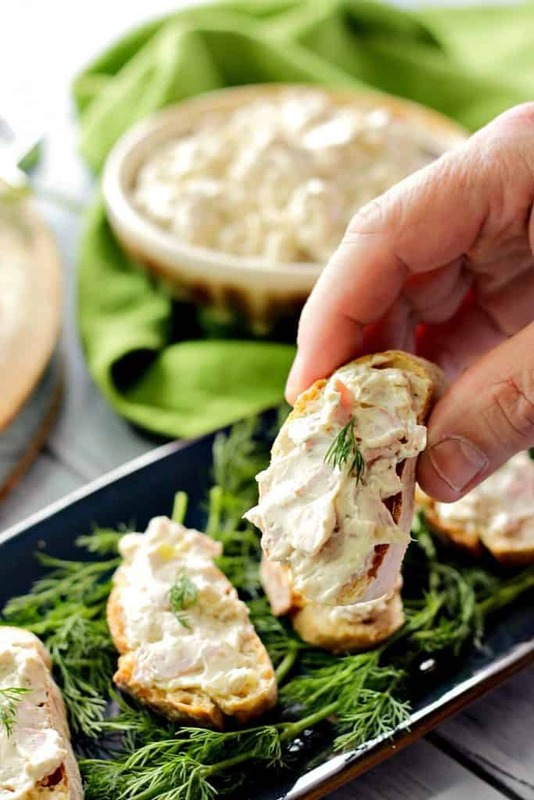 **Please Note – The printable recipe card with detailed instructions, complete ingredient measurements, and nutritional information for making creamy dill pickle dip is available near the end of this post. What I didn’t love about those yummy little pinwheels was that they were a bit messy for me regarding their assembly, and they never rolled up as neatly or held together as nicely as I would have liked. If you’re like me, when you want to make something simple then you also want something that will be neat and easy to prepare. Something that doesn’t require a whole lot of finger dexterity or a significant amount of coordination. Find more of my food videos by subscribing to my Kudos Kitchen channel on YouTube. Cream cheese salami pickle dip is an appetizer you can mix together with only one bowl, and it comes together in just a matter of minutes. 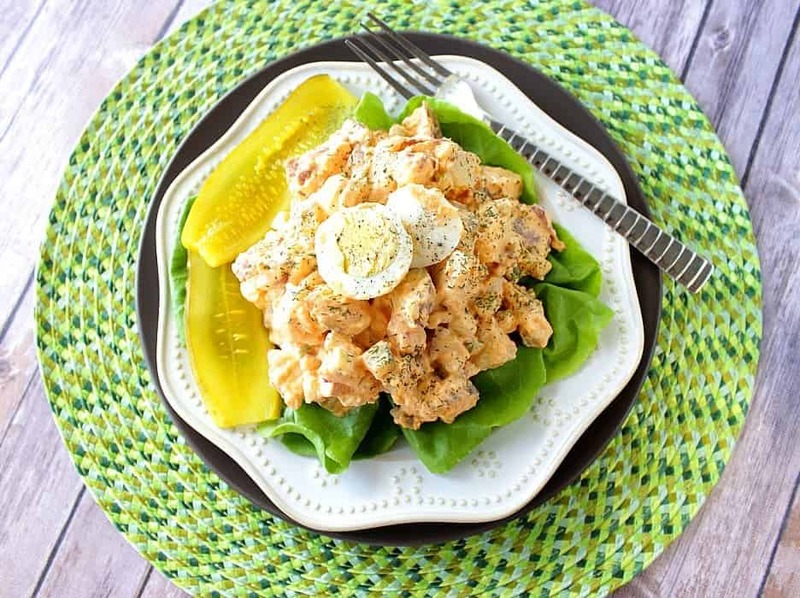 Blend the softened cream cheese, mayonnaise, chopped salami, chopped dill pickles, Worcestershire sauce, onion powder, garlic powder, and black pepper together until smooth and creamy. Refrigerate at least 4 hours. 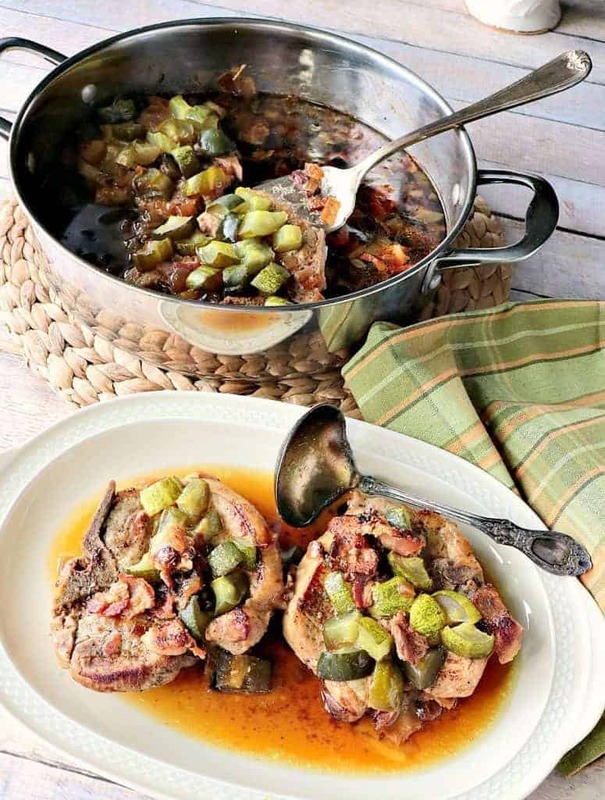 Serve with baguette slices, assorted vegetables, or crackers. 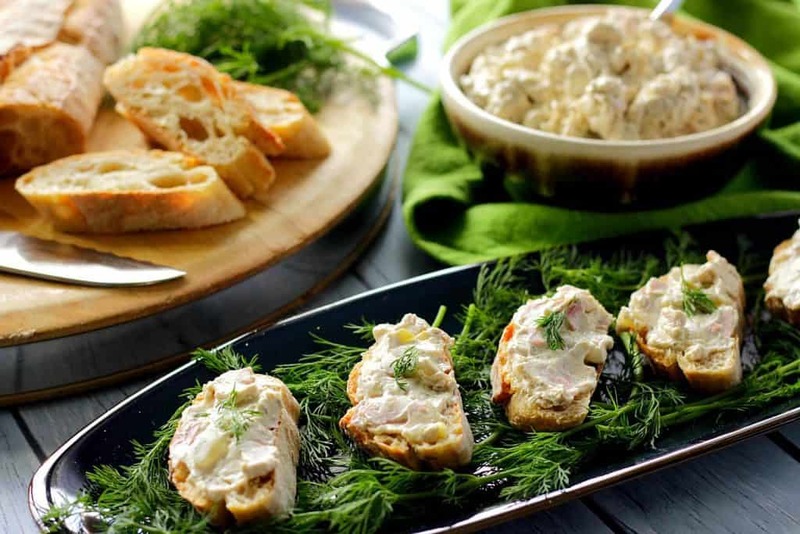 Cream cheese dill pickle dip packs an excellent punch of flavor as those little pinwheels did, but these are even better because I’ve kicked up the flavor with the addition of a few basic ingredients you probably already have on hand in your pantry and fridge. 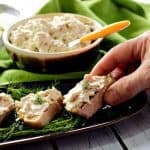 Cream cheese salami pickle dip is delicious when spread on toast, bagels, crackers, or baguettes. It also makes a tasty dip for your favorite vegetables, and it rates high marks when it’s used as an alternative for sour cream or Greek yogurt when topping a baked potato. Or, why not slather some between two slices of bread for the ultimate dill pickle dip grilled cheese sandwich? The possibilities are as limitless as your imagination! **The following affiliate links are some suggested products I’ve chosen that will aid you (or just make you laugh) in the making and serving of this recipe for creamy dill pickle dip if desired. Below is the printable recipe card for today’s creamy salami dill pickle dip. Cream Cheese Salami Spread with Dill Pickles is a quick and easy update of the salami and pickle pinwheel appetizers of the past. But this version is faster, easier, and has a bigger kick of flavor. Place the first 9 ingredients in a large bowl and blend with a hand mixer until thoroughly mixed and creamy. 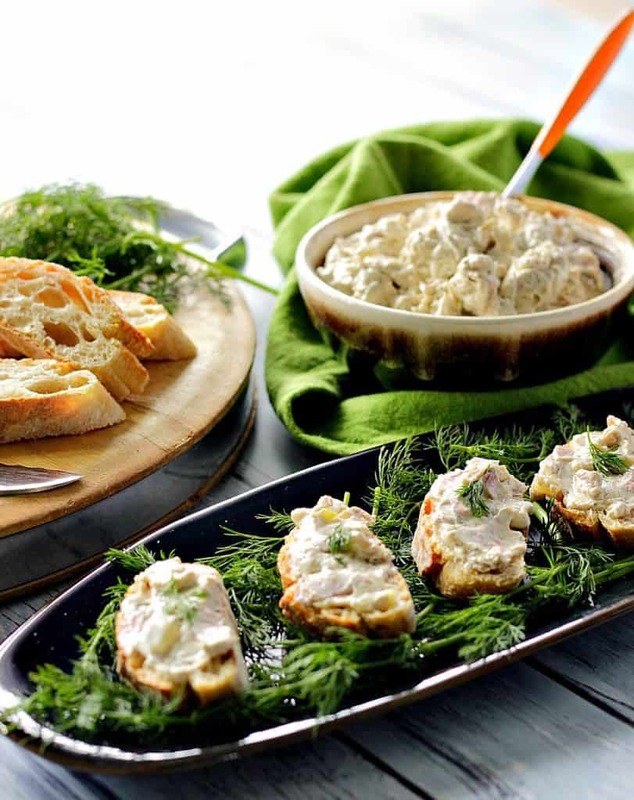 Spoon the spread into a serving bowl and serve with assorted bread, crackers or vegetables. Garnish with fresh dill weed, if desired. cutting board, chef's knife, large bowl, hand blender, serving bowl, spatula, serving platter. I sincerely hope you’ve enjoyed today’s recipe for cream cheese salami pickle dip as much as I’ve enjoyed bringing it to you! 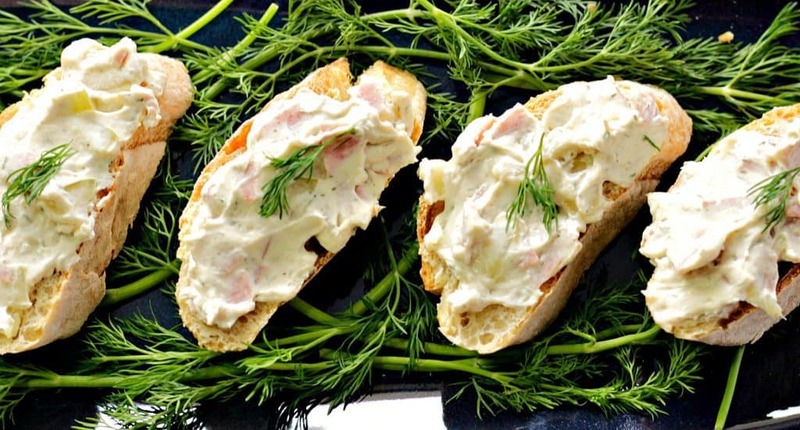 Oh, how I wish I still had some of this creamy pickle appetizer spread left. Good thing this spread only takes the blink-of-an-eye to make! Should you have any questions or comments regarding this pickle appetizer recipe or anything else you’ve seen on my site, please don’t hesitate to contact me directly or leave me a comment in the comment section below. It is always my distinct pleasure to get back to you with a reply just as soon as I possibly can! **Note – The post above includes affiliate links. When I find a great product or service, I like to share it with my readers. Sometimes I use affiliate links so I can earn a commission for my recommendations. As always, I thank you for your support! I’m getting hungry looking at these amazing appetizers! These would be great little bites for parties to for snacks! Those pinwheels were totally my favorite appetizer too… so I HAVE to try this dip!! Honestly, you had me at pickles. My favorite! The perfect high protein appetizer for me. I love it! What a great snack for any get together! You managed to put all my favorite things in one delicious dip! Yum! Favorite things and easy to make. What could be better? Enjoy, Allison! Salami and dill pickle, in a dip?! This is my ultimate snack dip and I cannot wait to make it again, it was amazing! Awesome! Glad to hear it, Karly! Thanks.